What if I ask you to replace your manual hiring process with a professional ATS system to automate your recruitment process and save thousands of dollars (or pounds, for that matter)? Yes, you read that right. There’s no typing error. A reliable and highly functional applicant tracking system can help a recruiter to save $3500 per new hire. Isn’t it something you’re already dreaming about? Well, this could be a reason why more than 75% recruiters are currently using professional ATS software to attract top talent, shorten hiring cycles, save recruitment costs and reduce administrative work. Using an ATS System Is a Trend Now: What Are Some Undeniable Reasons? A scalable ATS software has many comprehensive features other than just resume parsing and publishing job descriptions. It goes beyond recruitment database management to help recruiters in making faster and accurate decisions. 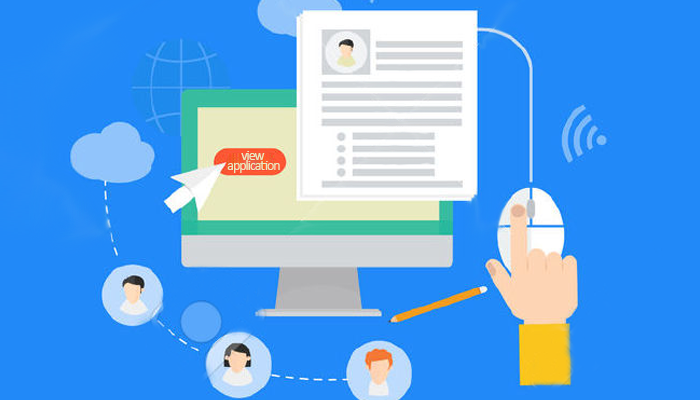 Read some of the prime benefits of using an applicant tracking software. Still unsure? Then let’s have a look at how an automated ATS software conducts the hiring process with a well-defined workflow to let any recruiter make most of it. Create a job requirement: Initially, the recruitment process (using ATS system) starts when a manager creates a job requirement depending upon the vacant position in his/ her team. Every job requirement for a position is approved by the HR manager. Then the recruiter takes help of any recruitment agency by adding it in the process. Publish job: The HR person publishes job for both internal and external candidates and expects to receive suitable candidatures for the vacant position.Any internal candidate looking for a similar opportunity can apply for the job where the recruitment agencies can post applications on behalf of the external candidates. Shortlist resumes: The recruiter can collect resumes and shortlist any number of applications for the published job. HR selects applications who he/she thinks are the best fit for the position. Assign test and interview to the candidates: Schedule tests and interviews to analyze the capabilities and skills of the candidates. 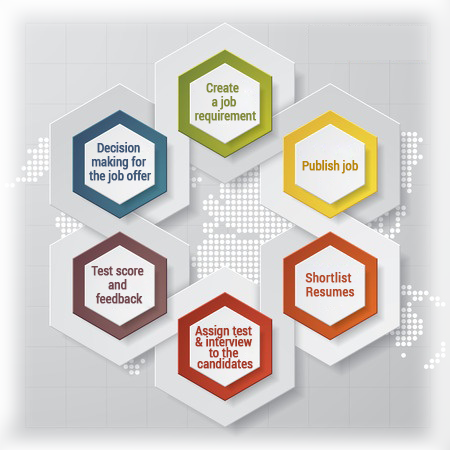 HR easily assigns multiple interviewers and test coordinators for managing tests for all the shortlisted candidates. Test score and feedback: After the evaluation of all the test and interviews, the interviewer and the test coordinator shares the feedback with the HR manager to take hiring process a step ahead. Decision making for the job offer: Once the interviews are closed, the HR manager compares the scores of all the candidates and finalizes some of them to initiate reference check. When all goes well, the recruiter makes a job offer to finalized candidates. Isn’t this too easy?? No qualm, an automated applicant tracking system do it all for you! To meet today’s increasing competitiveness, maintaining a top talent pool is a necessity. Every organization is a part of this race. Past researches claim that 90% of the large business organizations and 50% of mid-size companies use cloud-based applicant tracking software to recruit top talent. Hey recruiter, do you now realize why you can’t find best applicants when looking over hundreds of candidatures to fill a vacant job position..! Sigh. It’s high time to make right use of HR technology, and get an efficient and user-friendly ATS system to select perfect candidates and make recruitment a worthy experience.